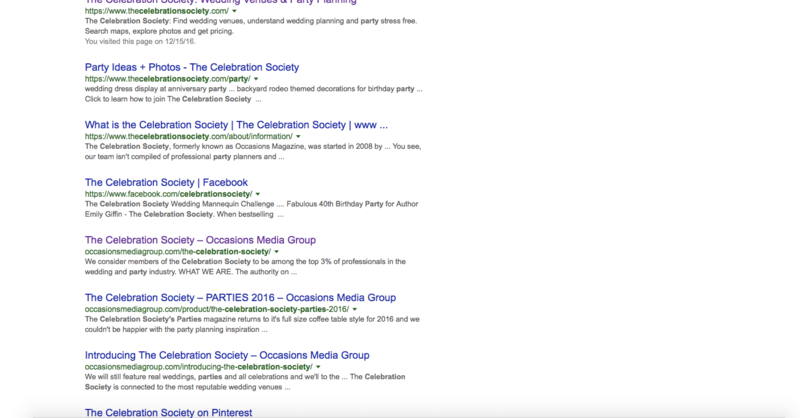 Occasions Media Group, creators of The Celebration Society Parties & Weddings, as well as St. Augustine Social publications sought consulting for their in-house team of IT professionals and web developers. Despite a tenured and talented team, the ownership needed guidance on creating better UX and UI experiences, improving visitor volume and organic SEO traffic, tracking metrics to better communicate to their advertisers, and general strategize on business growth. 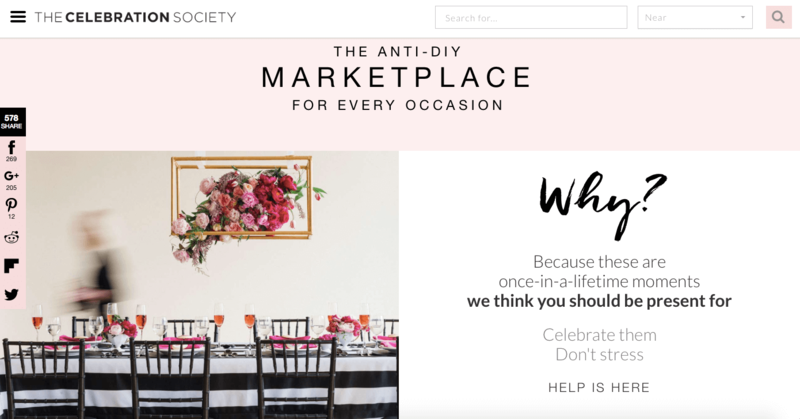 The SEOversite Turnkey Digital Marketing Manager team was able to dive into this project with impressive results, leaving an organized, easy-to-navigate, multi-site, multi-media company poised for further growth. Beautiful, simple home pages with even easier navigation and UX is presented on this website. 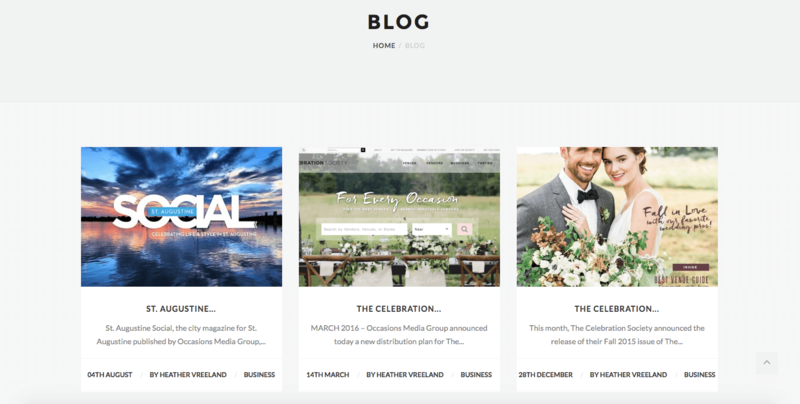 Wedding and event planning creates enough stress - we wanted a website that was intuitive and freeing. We didn't forget the need for content to drive visitors, but worked with the in-house team to recommend and strategize on how to find this balance. 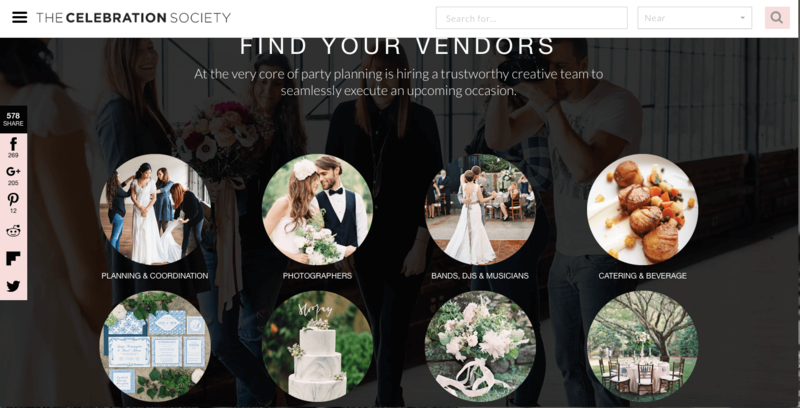 The Celebration Society is a one-stop shop for folks planning events, targeting middle-high-end venues and vendor services. Our strategy and feedback focused on selling this value proposition to the site visitor. Ease of navigation with simplicity of message is the focus. Magazines in print drive website visitors. Website visitors drive magazine readers. More of both drive advertisers. Advertisers pay the bills for a magazine and website in this space. This showcases SEOversite's ability to assist lead generating businesses, e-commerce businesses, as well as traffic-generation models. Before working with this group, its metrics to track visitor counts, organic SEO rankings and PPC tracking were nebulous at best. Our SEOversite team provided strategy on how to improve analytics for greater accuracy for future search engine optimization efforts. With a large footprint throughout Atlanta, St. Augustine and all of north Florida, the proper strategy was not obvious without deep analytics. Over a several month project, SEOversite was able to work with the team to prioritize the "lowest-hanging-fruit" in terms of website visitors and locations to target first. 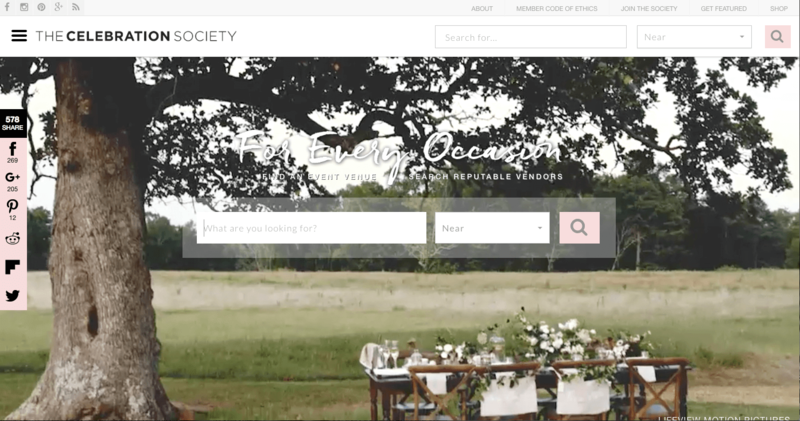 Selling to advertisers becomes more compelling and higher rates can be achieved if there are clear metrics showing consistent growth in unique organic and paid-search visitors to a site promising to grow the use of wedding venue or service provider. Before SEOversite, visitors and distribution were guesstimates, whereas with our metric tracking consulting and strategy, Occasions Media Group can now charge more and provide more clear targeting and feedback to its valued vendors. 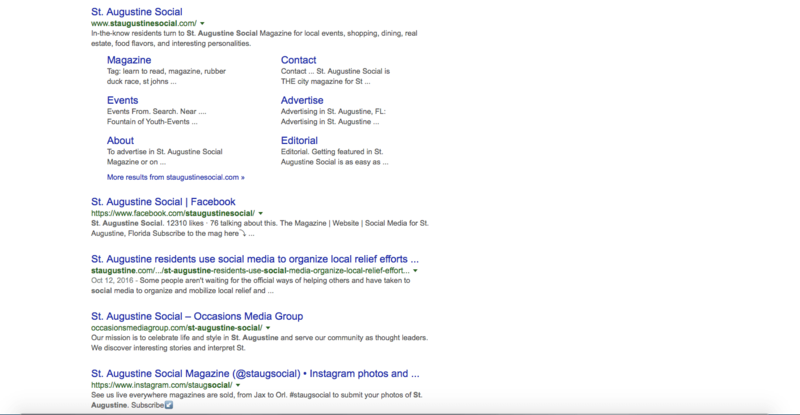 Further, dominating full pages of Google as seen here show the power of AND, not OR, and the important of a broad reach, by maximizing social media, main and ancillary feeder websites and more. User experience is paramount when planning a wedding. SEOversite provides ideas and feedback on how to create intuitive search functions, in this case searching by venue-type and below by vendor-type to provide a variety of options for the various ways unique brains wish to search. Another simple way to search vendors using beautiful, professional photography and layout. 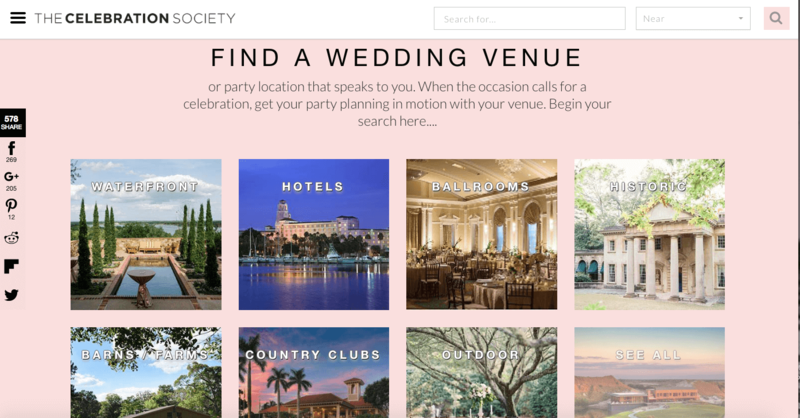 Occasions Media Group, parent company to the Celebration Society brands creates beautiful publications for those seeking information in traditional magazine format. Structuring an impressive blog with valuable content taken from multiple magazine sources is a valuable way to grow visitor counts. 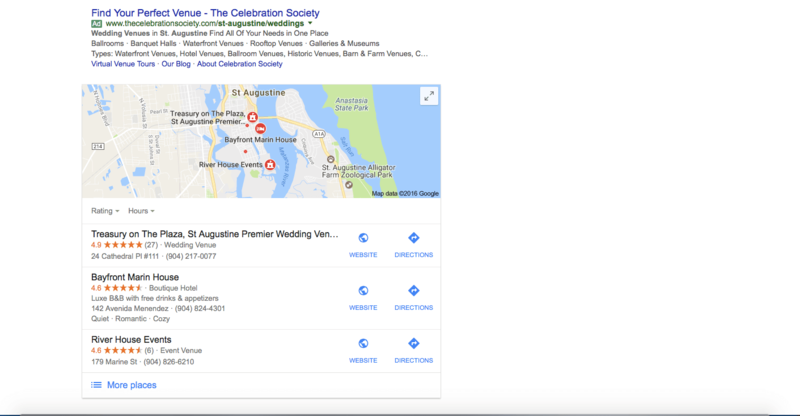 A final example - Paid Search (Pay-per-click advertising through Google Adwords) being utilized to "jump the competition" and ensure those seeking venues and planning see The Celebration Society first. This shows true value to advertisers and drive real, high-quality site visitors with a limited budget, targeting a few key areas where TCS has the greatest footprint worth expanding.